It might feel like a welcome change when your teenager gets a driver’s license, because you no longer have to play taxi operator. But teenagers are infamous as a group for their poor driving. Many don’t think clearly when they’re behind the wheel, and many end up in a collision as a result. According to DoSomething.org statistics, teenagers are more likely than any other age group to be involved in a car crash. About 20 percent of all teens end up in a vehicle incident of some sort, which result in a third of all teenage deaths. Cell phone use is a common factor in crashes that involve teen drivers. About 56 percent of them admit to talking on the phone while driving and 46 percent admit to texting while driving. The odds of an accident also increase when more teens are passengers in the car, which can distract the driver as well. Death rates jump when more teens climb into a truck or car operated by a teen. All of this means your teenager(s) might well be involved in a vehicle collision at some point. If this should happens to your family, here’s what you should do. Your son or daughter will likely feel guilty about the incident. When your teen calls you for help, giving him or her an irate lecture will only make the driver feel worse. You will end up making yourself feel awful if you allow your anger to take over, especially if your teen gets seriously injured. Try to give your youngster the benefit of the doubt. Your teen could turn out to be the victim of the crash instead of the perpetrator, for example. You might even have a potential personal injury case on your hands. Although it’s frustrating to hear that your vehicle may have been totaled, it could be more traumatic for the teenager involved. 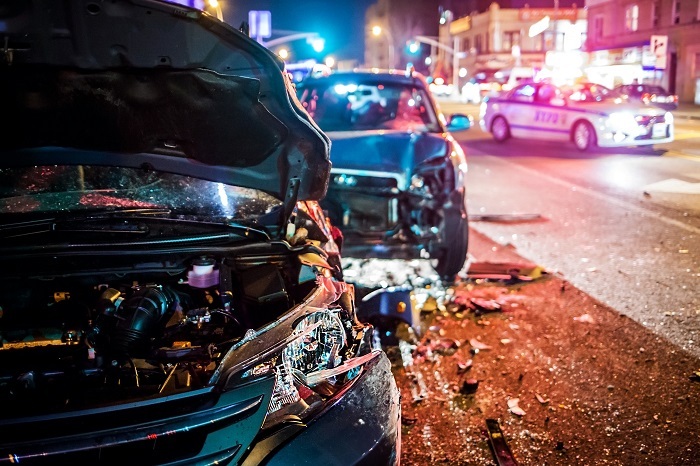 Not only is a collision a frightening experience, but it also creates a loss of confidence. It can take months and even years for a young man or woman to heal emotionally from such an event. If you’re calm, your teen will likely be more composed as well. Use soothing words and pacifying techniques. Encourage your son or daughter to breathe deeply and remember to seek medical attention before anything else. In the heat of the moment, reassure your teenager that it’s “just an accident.” If feel like you want to read the riot act, wait until your youngster has healed a little before discussing the consequences for any mistakes he or she might have committed. Unfortunately, when teens cause a vehicle crash, insurance premiums will climb. It’s already expensive to have a teenager covered by your insurance, but rates can jump as much as three times after an accident for which a teen is found responsible. You don’t have to accept such a rate increase, though. You might be able to negotiate your adjusted rate or even switch insurance companies. Perhaps if you tell your company you could get a better rate elsewhere, the reps will consider adjusting theirs to a closer match. If more than one vehicle was involved in the incident, a police report will likely establish fault. It’s crucial for you to get your teenager’s side of the story, too. Determining fault is not only vital for a possible personal injury case in the future, but it’s also good background for parenting purposes. A young driver may require a greater sanction, even punishment, to prevent future, similar errors. For example, if your teen was texting and driving, a tiny fender bender may not be enough to break him or her of this dangerous habit. A more substantial incident might be punishment enough, however. If at all possible, get to the scene of the accident as quick as you can. Send a relative or friend if you’re unable to show up. There should be plenty of time for you to get someone on site while the authorities clean up the accident and paramedics check each of the individuals involved. Your teens will need emotional support, even if they act tough. You’ll also want to facilitate and answer questions about vehicle and health insurance because your teen probably won’t know the answers. Your presence will also help you develop a better picture of what happened and how your teen was involved, so you’ll know the necessary support and/or consequences when you can discuss the matter later. Keep in mind this may not be the last collision your teenager will undergo. Use this one as an opportunity to teach her or him the ropes and how to handle a future accident. You might also have your youngster listen in on the insurance call, so he or she can answer questions if necessary and learn how to handle the situation in the future. The knowledge will be beneficial for years to come … a positive result after a harrowing experience.